Agree to disagree, but Taiwanese street food is, hands down, the greatest. 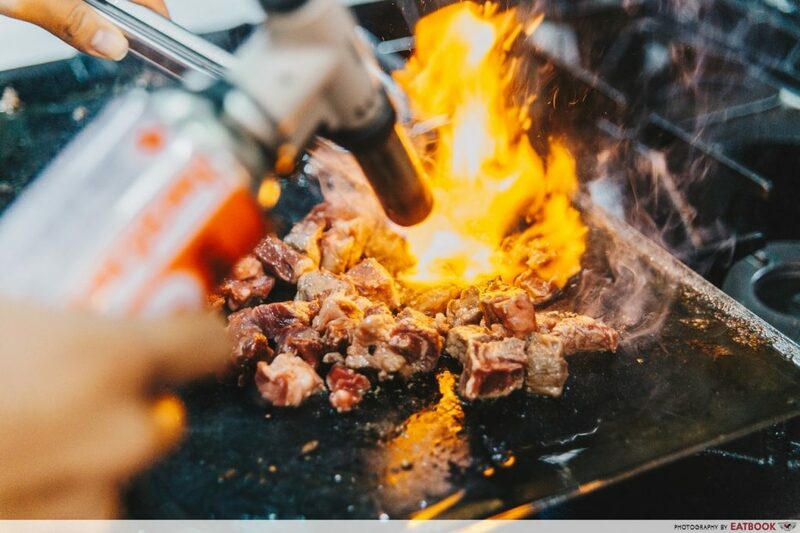 So it comes as no surprise that one of the most highly anticipated events for foodies this year is Shilin Night Market Singapore. Organised by Invade, the folks behind ArtBox, the night market’s debut in Singapore sees a stellar lineup of stalls. In fact, there will be a handful of popular Taiwanese retail and food stores coming down to Singapore for the very first time! 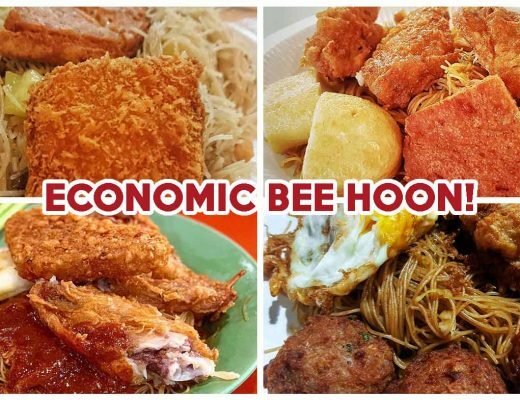 Happening on 19 to 21 April as well as 26 to 29 April 2019 at The [email protected], this pop-up market will sate all your cravings for unique bubble tea, XXL fried chicken and hearty, slurp-worthy noodles. Squeals were heard when I announced to my colleague that 迷客夏MilkShop would be opening a stall at Shilin Night Market. Unlike most BBT joints, this drinks store takes pride in the fresh milk they use instead of focusing on the tea. As such, even if you’re caffeine-intolerant, you will still be able to enjoy their creamy concoctions such as Red Beans Matcha Milk and Taro Milk. If you’re cray about Brown Sugar Milk Tea, they also have this on the menu. 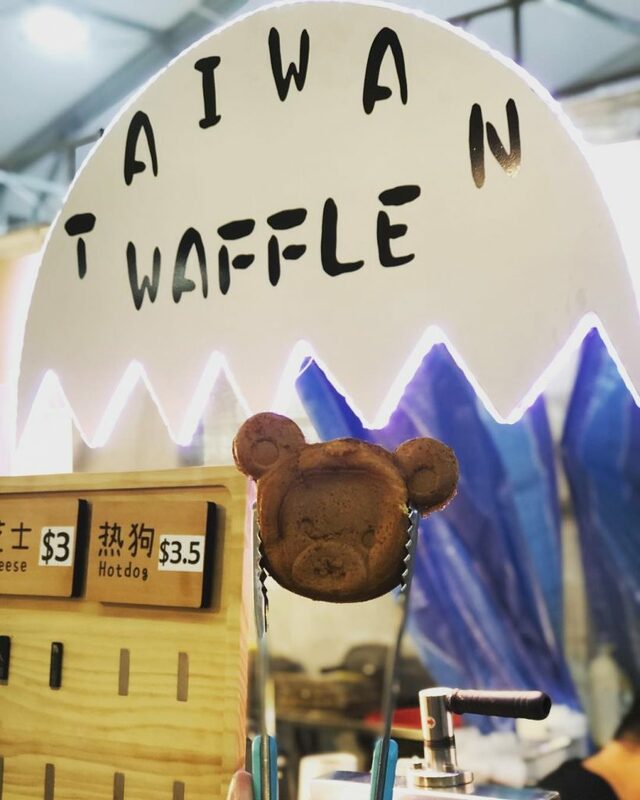 Taiwan Waffle’s bite-sized treats will make you squeal “kawaii!”. Instead of the usual egg waffles, the ones here boast a texture that’s more similar to a Japanese taiyaki. IG story their adorable bear and heart shaped waffles, which come with fillings such as cheese, chocolate and red bean at $3. Alternatively, for a more savoury bite, get the Hotdog filling at $3.50. 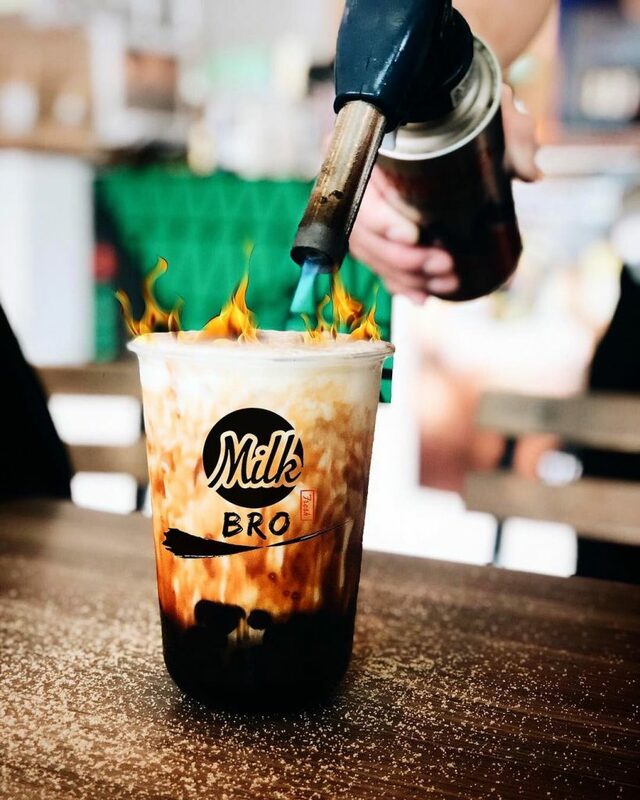 Fire up your Instagram feed with Milk Bro Singapore’s flaming bubble tea! The Muslim-owned stall pushes out a treacly Brown Sugar Fresh Milk concoction that’s a great sweet treat after a heavy meal. The QQ pearls are all halal and cooked on the spot in a huge wok. 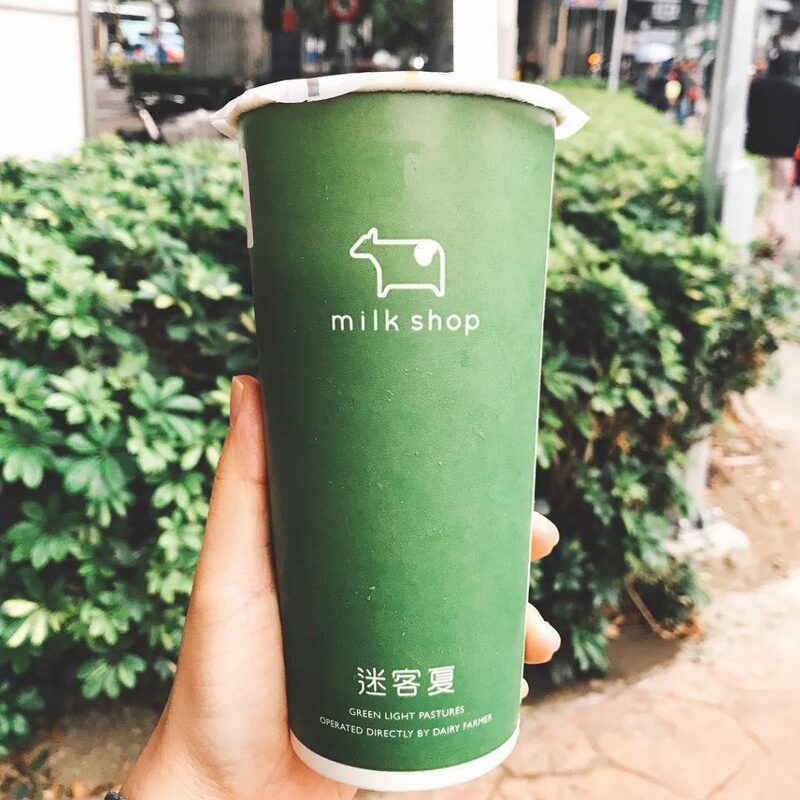 Prices start at $3.90 for their 500ml Taiwan Brown Sugar Milk Tea, but we’d rather fork out $5.90 for their 500ml Signature Taiwan Flaming Boba Milk with Cream Mousse. The Insta-worthy drink showcases a sugary top that’s blowtorched for a tantalising caramelised effect. 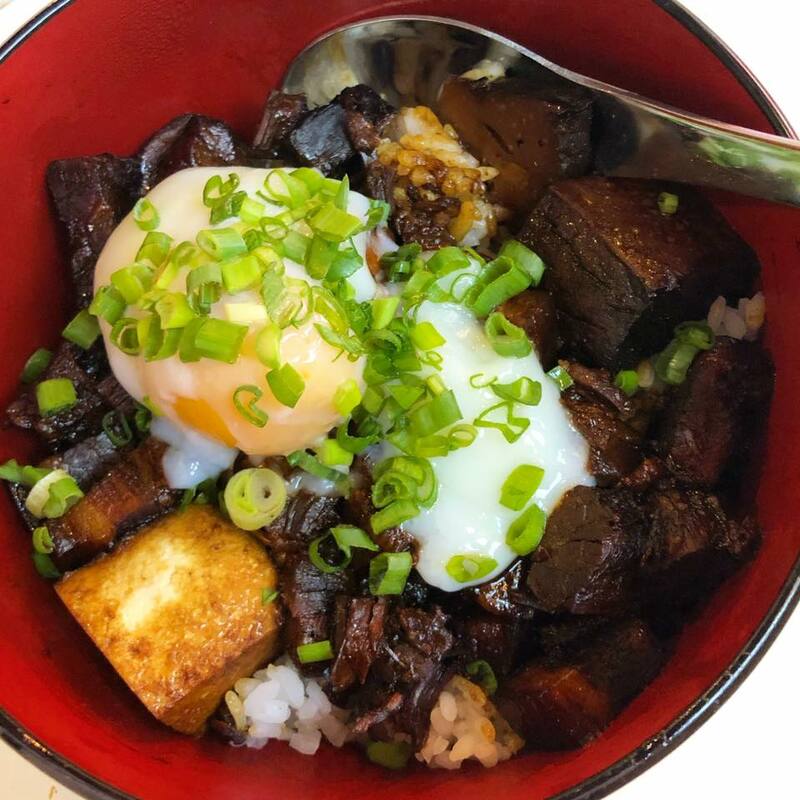 Opened by the folks behind Rice&Fries, Tie Fun Wan is an underrated gem that’s well-loved for their hearty rice bowls. Get your lu rou fan fix here with their Braised Pork, which comes with fatty chunks of braised pork belly. Stir the onsen egg in for a touch of creamy decadence. Other dishes to look out for include their tongue-numbing Ma La Pork Belly with either noodles or Japanese pearl rice. 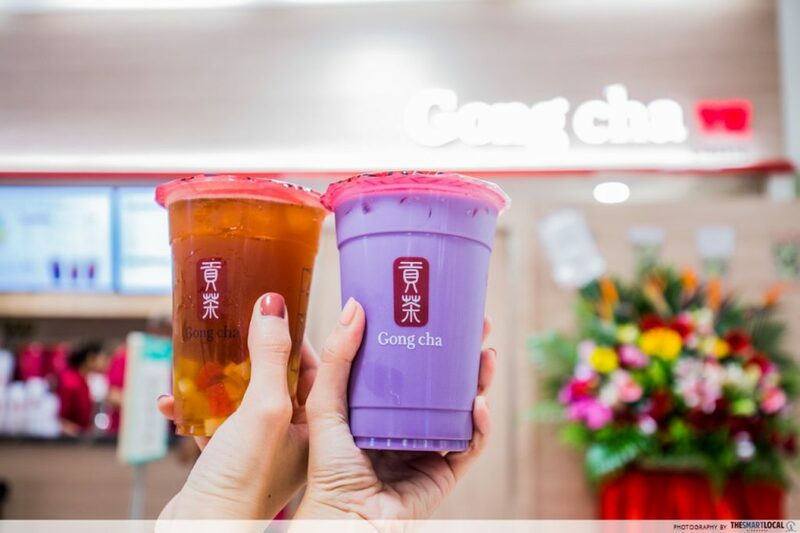 Gong Cha deserves a mention, as their Gong Cha Funhouse pop-up at the festival will let you DIY your own bubble tea concoction! We already know what drink we are gonna make: Earl Grey Milk Tea with brown sugar – yum. Aside from creating your own drink, you will also get to witness the launch of an exclusive new drink series that’s done in collaboration with pop culture artist, tokidoki. 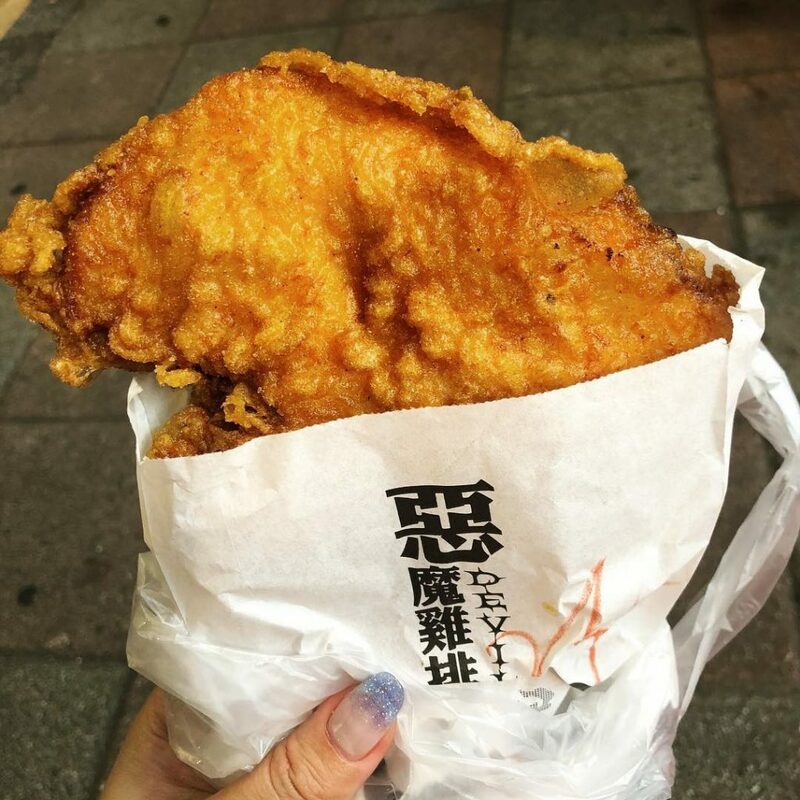 No trip to any Taiwanese night market is complete without some XXL fried chicken. Aside from the famed Hot Star, Taiwaneses’ favourite Devil Evolution will also be setting up stall here. Pounded before being fried to crispy perfection, these golden-brown slabs are bigger than your face. When you’re here, you can expect the usual toppings of sour plum and cumin to go along with the juicy fried chicken! My favourite memory of Taiwan is munching on hot beef cubes in the chilly weather. And no one does these flame-grilled beef cubes better than Huoyanshaiziniu. Blowtorched on a heated pan, the beef has a nice brown char with a pinkish centre. It’s super addictive and you def’ won’t be able to stop popping them into your mouth, thanks to the smoky, meaty robustness. You can also season it with garlic, seafood or yakitori powder, but we rather have it as it is. Those with a sweet tooth can munch on cream puffs from Kazo while exploring the event grounds. Two unique flavours of their Crispy Hokkaido Cream Puff can be found exclusively at Shilin Night Market Singapore. One has cream puff topped with apple syrup and raspberry powder, whereas the other has chocolate syrup and cocoa powder. 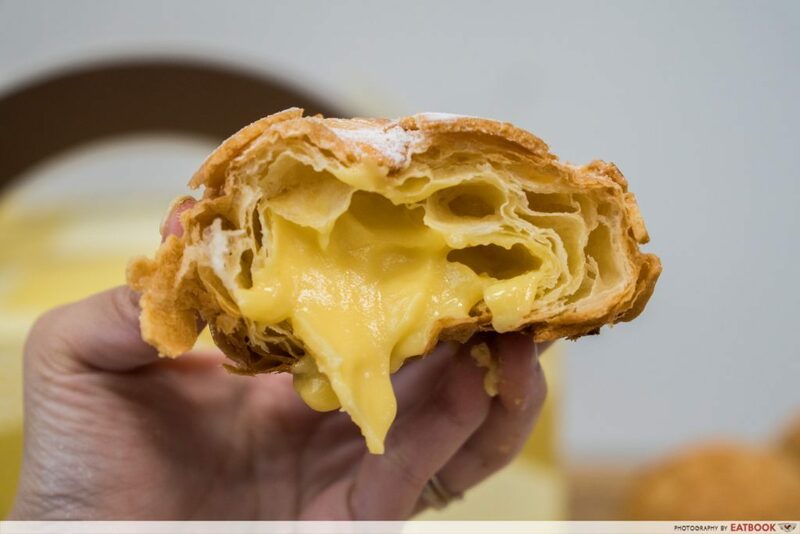 Standby the wet wipes when eating the Golden Lava Danish Polo, as one bite through the crumbly, buttery croissant-like exterior will unleash luscious salted egg yolk custard onto your hands. If you prefer to keep your hands clean, get their Kazu Kazu, which is essentially choux sticks containing either chocolate, matcha or Hokkaido cream filling. Muslim friends can look forward to halal Taiwanese street grub at Beef Up. 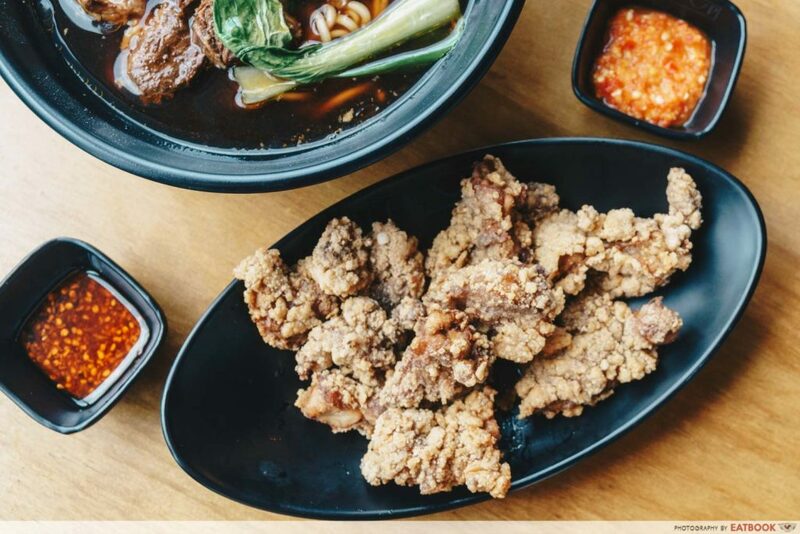 Offering comfort food at its best, the pop-up stall will be showcasing scrummy delights such as their event-exclusive Oyster Mee Sua as well as the Chicken Cutlet. The latter is a hot favourite, with juicy chicken chunks powdered generously with seasonings such as black pepper, plum, seaweed and wasabi. Bakes from Chia Te Bakery is an essential item to have in your souvenir package. 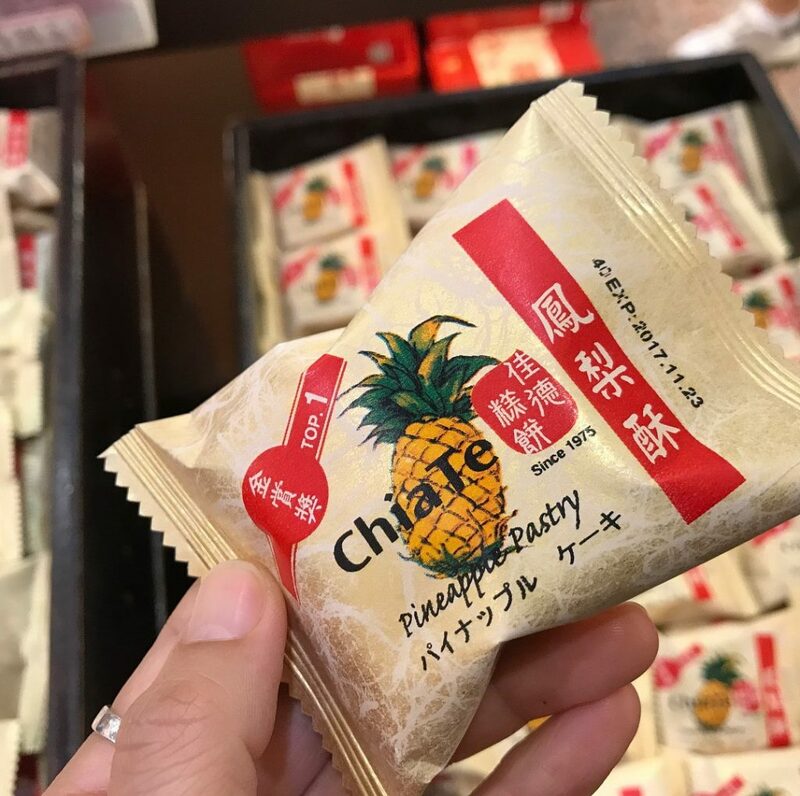 And you can now stock up your pantry with their famed Pineapple Cakes ($15 for six pieces) at Shilin Night Market Singapore! Another must-eat is their Nougat Biscuits with Green Onion ($15 for 12 pieces), where savoury biscuits sandwich a sticky-sweet nougat filling. 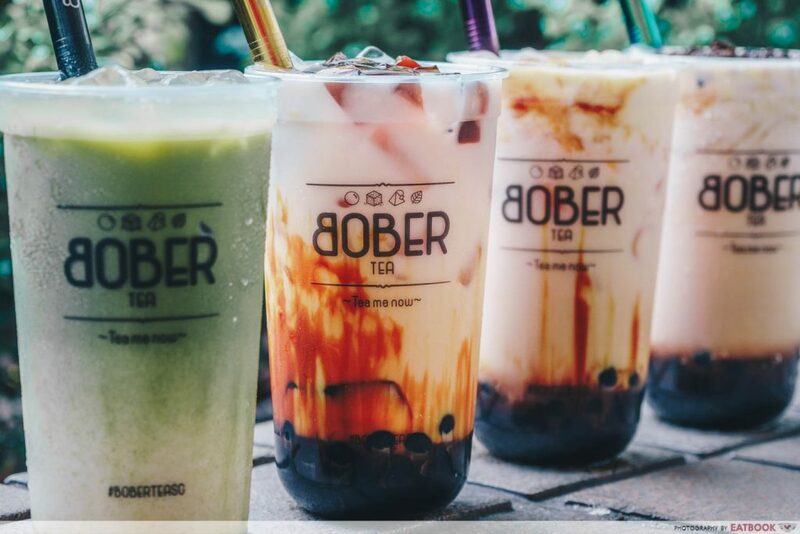 Refresh yourself with some toothsome bubble tea by Bober Tea. They have launched new flavours, just in time for the market. A must-get is their Brown Sugar Crème Brulee Fresh Milk, which features a caramelised sugar topping that breaks gently into the drink. Matcha lovers on the other hand, will enjoy both the Brown Sugar Boba Matcha Latte and Brown Sugar Boba Matcha Strawberry Latte. Monki Cafe, a hidden Taiwanese cafe in Holland Village, will also set up a stall at the night market serving their scrummy eats. 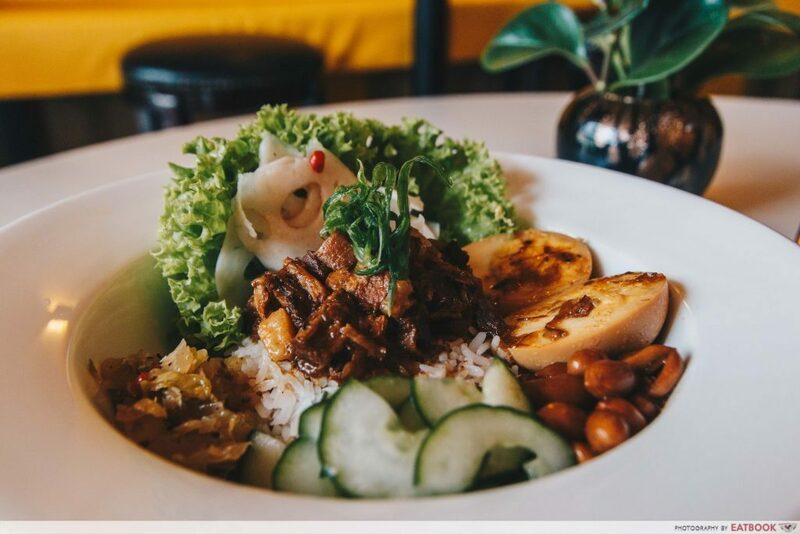 Fill your belly up with their Taiwan Braised Pork Rice, which comes with a heaping of tantalising braised pork accompanied by preserved vegetables, cucumbers, peanuts, hard-boiled egg, slices of lotus root and lettuce. The meat is chopped into small pieces, making it easy to devour this rice bowl with just a spoon alone. Singapore may be a little red dot, but we have no shortage of exciting activities to do every month! And the highlight of April is def’ Shilin Night Market. 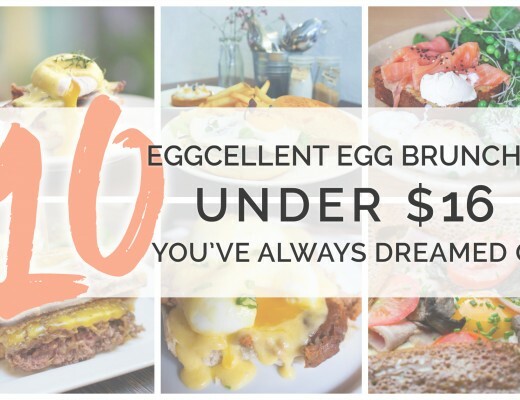 Aside from the array of good eats, there will also be plenty of fun things to do. Challenge your friends to a round of arcade games, as The Arcade People will be bringing down over 60 arcade gaming booths and claw machines! If you prefer to sing your lungs out, there will also be eight KTV booths as well as open-mic sessions. You won’t be the only one singing. Bands such as The Freshman (插班生), Kewei & Ein Ein, and Two Much Drama will also be belting out Mandopop ballads to keep you entertained all day long. Then snuggle up with your loved ones at the free movie screenings, where you can munch on food and catch popular blockbusters under the starry sky. Can’t get enough of Shilin Night Market? 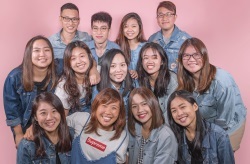 Take part in their art mural contest and win a pair of Eva Airway’s Premium Economy tickets to Taiwan and explore the real Shilin Night Market instead. Bubble tea fans can head over to Shilin Night Market Singapore’s Facebook page to find out how to redeem a cup of Earl Grey Milk Tea at $2 from 29 to 31 March! Find out more about Shilin Night Market’s pop-up in Singapore! Shuttle bus service is available at Bugis. This post is brought to you by INVADE.